Chappe et Gessalin (CG, Chappe Frères & Gessalin ) was a French manufacturer of automobiles from Brie -Comte- Robert, who worked 1947-1974. Initially, the company hired her bodies made ​​of aluminum for Talbot and Delahaye. Later, the production of polyester bodies for Charles German, German -Bonnet and Alpine was. In 1966, the first of three own models was presented, all based on vehicles of Simca. In April 1974, the production ended after about 405 copies. Albert Uderzo developed in 1970 a hallmark showing a rooster, as the company at the " Rue du Coq Gaulois " was in Brie -Comte- Robert. The first model was introduced in 1966. 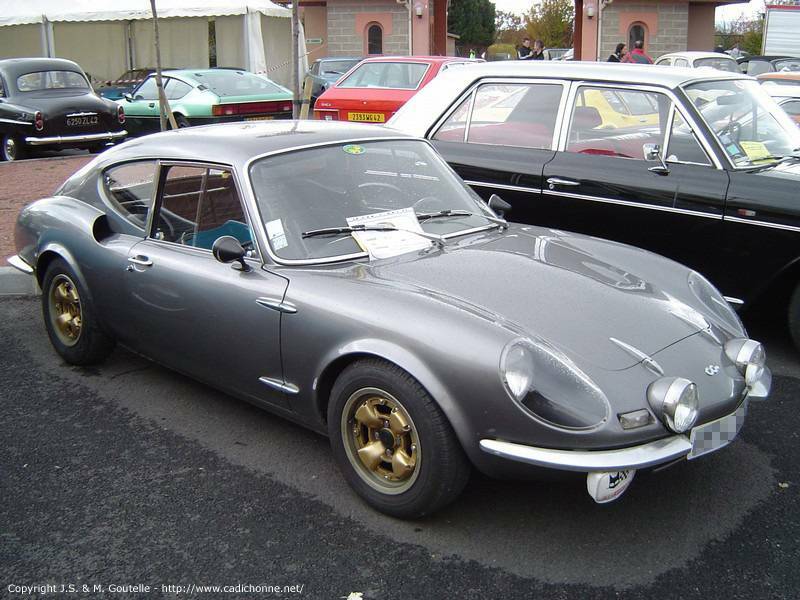 It was based on the Simca 1000 and was available as Spider 1000 with an open body made ​​of polyester as well as a sport in 1000 as a coupe. The four-cylinder engine with 944 cc displacement made ​​40 hp. In 1969, the stronger Model 1000 S to also as a convertible and coupe, the engine of 1118 cc capacity made ​​49 hp. The model B 1200 S appeared in 1968, again as a convertible and coupe. The engine with 1204 cc capacity initially made ​​80 hp, 85 hp from 1970. 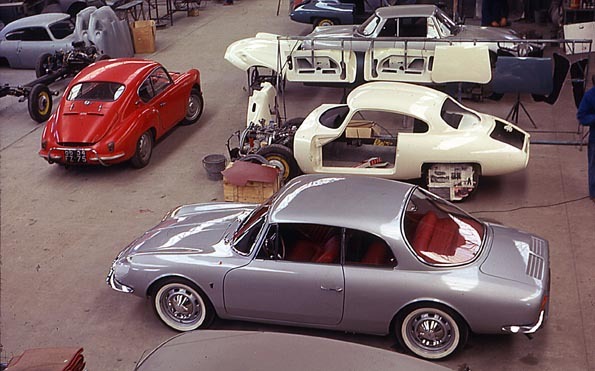 In 1970, the lighter model 548 to the there was also available as a Spider, and was intended primarily for motorsports. For this model, a Constantin compressor was available. In 1972, the C 1300. Simca The engine of the 1000 Rallye 2 made ​​from 1294 cc 82 hp, 95 hp version in the sport.